Last edited by jltrent on Tue Oct 09, 2018 8:41 pm, edited 1 time in total. I bet she won't forget the check. True Grit Farms wrote: I bet she won't forget the check. She could remember 35 years ago she drank one beer. It was probably a Schlitz. I can beat that, I remember drinking 10 beer 35 years ago. Seems I remember a little about some shine last week. Will you go-fund--me enough for a few gallon? If she accepts this financial reward, then it has been firmly established 'what' she is...all that is left is negotiating her price. She has death threats and still can't go back home. Her life has been turned upside down. No money in the world can fix that. Would any of you trade places ($ included)? Nah. No money in the world can fix that. Would any of you trade places ($ included)? Nah. Please....., Would someone PLEASE threaten me so a gofund me worth $600,000K can fall my way. I'll just stay here at home like all the thousands and thousands and thousands of other American people that have their 'lives threatened' every year. I don't know a single police offer that HASN'T received a death threat. Most political pundits receive death threats regularly. Most CEOs retrieve death threats. They all just go about their business as usual. Most politicians, local, state and federal, receive death threats. This is just one more reach and ploy by her legal team and the media to keep her and their agenda in the spotlight. GB, we will have to agree to disagree. This is one of those Rorsach (sp) instances. Most people I know believe her. I'm sure most people you know believe him. If I step back and take a 50,000 foot view, it's a conundrum for civil society. The north-bound Zax and the south-bound Zax, if you're Seussian. boondocks wrote: GB, we will have to agree to disagree. This is one of those Rorsach (sp) instances. Most people I know believe her. I'm sure most people you know believe him. If I step back and take a 50,000 foot view, it's a conundrum for civil society. The north-bound Zax and the south-bound Zax, if you're Seussian. I'd sure hate to have you as a juror, getting convicted on hearsay is a scary thought. It makes no sense that he's been flying straight since that night she can't remember. All the while working around a bunch of young ladies that some would do anything to get ahead. Everyone says that's not the person who they know? And if he did do what she can't remember, doesn't a person deserve another chance to make a life for themselves? And why wouldn't the said person make a great judge? I just can't see the logic in how some people think. Another ride on the Merry-go-round. FACT: as it stands in the balance, it is an uncorroborated accusation. No one knows who is lying. One can only SPECULATE. Some will vote based on those speculations. NO: I don't believe her. Or better yet. Someone could start a thread on how long it takes a pizz ant to eat a bale of hay. That would be more entertaining. What's political? I like to hear what other people have to say on things, even if I don't agree. 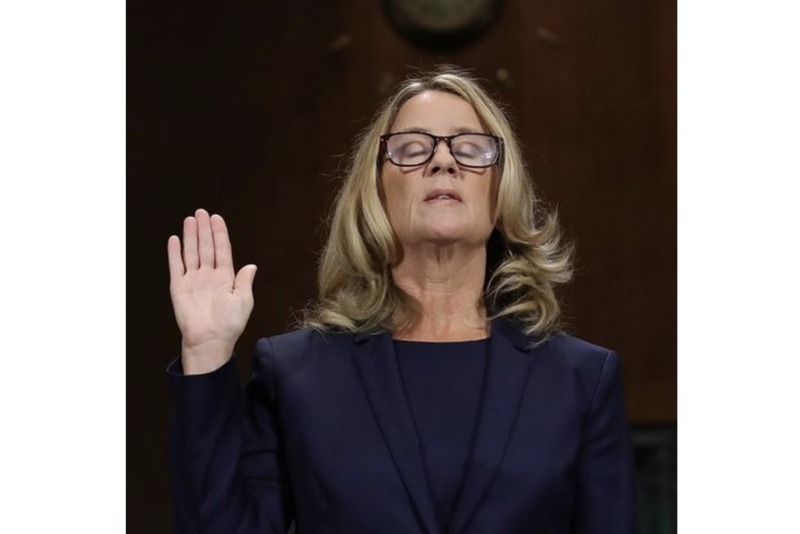 Like if the shoe was on the other foot type of thing, no science involved, no proof that it ever happened and a lot of folks feel he assaulted her. I felt it was possible he had assaulted her till she made her statements to the Senate. From what I saw she looked totally coached. It puzzles me how two fairly rational people see things so different?